This eloquent perspective can also be applied to just about any career out there, especially in the case of online business. You might think you finally have a lock on online business trends. The bucks are rolling in and you are plugging away at your day-to-day duties. But then it all falls to pieces, and after all the work you’ve done, that’s hard and really frustrating. But there’s a lesson to be learned. If you know things might change in the future, you have to be ready to adapt. Take pay-per-click (PPC) advertising, for example. Sure it seems like an easy process: sinking money into optimized ads to bring potential clients. But if you’ve worked with PPC advertising in the past, or even if you’re starting out with a new PPC campaign, you’re probably already aware that there is nothing straightforward about PPC. The trends of PPC change as regularly as the tides of the sea change. For online business owners, however, this ebbing and flowing should not generate panic, but instead, rational thinking. And once you are thinking rationally, you can adapt to change—even spot it coming—before that change overpowers your business. So, if you prep yourself for change, you can ride it and even prosper from it. So, you get the bill in the mail for your PPC campaign, and it’s through-the-roof expensive. You’re obviously angry and wondering what happened. The answer is simple: the campaign was subject to change, and you didn’t prepare for it. This sort of situation means you have to keep an eye on both how you do your PPC optimization and how much you budget for your PPC campaign. If you start redoing your PPC optimization, and as a result you get more traffic to your ads, that likely indicates you are on a good PPC optimization track; however, be prepared to shell out for that change in increased activity. You might have to devote time over a longer period for analyzing which ads perform better than others. This also requires some consideration for time—i.e. which seasons are the busiest for your online business, when to use the right ads in specific points of the calendar year, etc.—as well as charting the success from month-to-month and year-to-year within your specific niche market. Devoting the time to complete this analysis will help you target some of your campaigns later, generate new PPC tips for yourself, and increase efficiency in your PPC activity on all fronts. PPC is like many other slightly cumbersome online business practices in that you have to monitor it. Because of PPC’s vulnerability to online trends, it’s necessary to take your time while going over your PPC material: observe its activity, and learn from all of the data you collect so that you can direct all future PPC material in the right direction. Is PPC monitoring as fun as a day at the beach? Not so much. Can it help make your business more successful? Most likely. Hence, it’s best to do that monitoring on a regular basis. You might find that you are not as well-versed in PPC as you thought, or that you have to attend to other duties for your business instead of focusing on PPC. In cases like these, bring in some outside help. A good PPC manager or firm specializing in PPC can make the changes you need without you having to be caught up in the action. A PPC manager can work, observe, and make recommendations for your business. Just make sure you get a proven PPC manager to help; there are a lot out there who claim success, but then display little to no commitment to your online business needs in PPC, yielding few results. 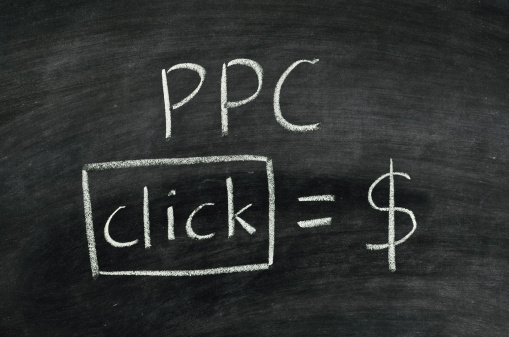 A real PPC pro will actually deliver in the end.